Having studied in several schools of iridology (eye diagnosis), I want to discuss phenomena that very few will acknowledge in iridology – the healing of so-called irreversible lesions, and constructive fibre structure changes in the iris. Some iridology schools will flat out refuse to even look at the evidence. Traditionally, closed lesions in the fibres of the iris are considered to be irreversible, as they show serious structural break down in the organs of the body. I am going to begin by being a bit radical and stating that in my work, we observe positive structural changes all the time; the small stuff we don’t bother about. So I want to show how the more serious problems can be followed through iridology. Ignoring colour for a moment, let’s look at the fibre structure of the eye. 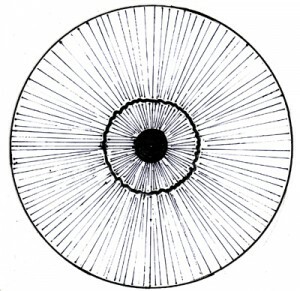 In a perfectly healthy iris, there are straight fibres radiating out from the pupil, to about a third of the way out towards the edge of the iris, (the autonomic nerve wreath), where they loop back, and also more straight fibres radiating out from the autonomic nerve wreath to the edge of the iris. These should be nice, straight, unbroken fibres. As the body degenerates, there is a corresponding degeneration in these nerve fibres. The straight fibres break down, and gaps are left in the structure. At first, these gaps, or lesions, are open at one end. These open lesions are not yet considered irreversible. As the body degenerates further, these lesions close off at both ends. This is now a closed lesion or lacuna, and shows irreversible damage. As the degeneration gets worse, the lesion darkens inside, going brown and then black. This would be considered cancerous. As the cancer becomes malignant, you see black tendrils growing out of the lesion into the surrounding fibres. I would point out though, that we never tell someone they have cancer if we observe a black lesion, as this creates more problems by putting them in a fearful state of mind. 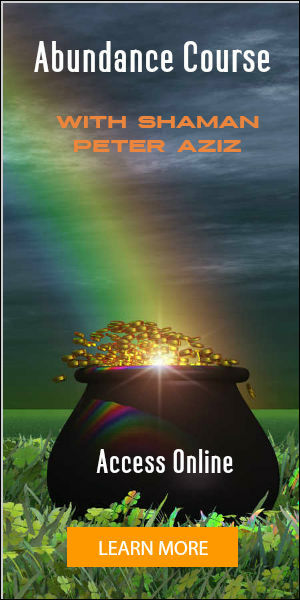 The fact is that as they get on a powerful healing program, these lesions reverse and heal. As we get the patient on a good nutritional program and start point-holding (a technique used in Body Electronics healing), we see these lesions healing in a certain order. First, the black tendrils fade away. Then the blackness gradually fades. Finally, the lesion opens at one end, becoming an open lesion. At this point the body is able to continue to heal itself once more, as the so-called irreversible lesion has gone. 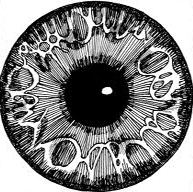 Looking at the iris over the coming days, new fibres grow inside the lesion, and then the outline gradually fades, leaving a perfect, straight, unbroken fibre structure once more. 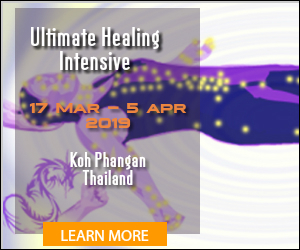 The method I use to achieve this level of healing is Body Electronics, as taught by Dr John Whitman Ray. However, what has brought out the real power of this method is the awakening of spiritual powers, which can now be passed on by transmission. The first of these is the Shree yantra. It seems to hold a divine blueprint that reminds the body of its perfect structure, and thereby allows regeneration no matter how damaged. Then we add Candali, a series of empowerments that builds the kundalini in safe stages, as the rising of the kundalini has always accompanied the most miraculous healings. This is often observed in Body Electronics in safe stages as burning. Right from the beginning you feel your fingers burning fiercely during point holding. When reading the iris, obviously we want to know which organs have the most damage, so we can work on them through point holding. You can use any of the available iridology maps to locate organs within the iris, but there are a few important points I wish to mention. First of all, each person’s iris can vary a little, so plastic overlay charts to put over an iris photo are unreliable. For example, the appendix, which is marked on the right iris at about 6.30, can actually be anywhere between 5 o’clock and 7 o’clock, as people have different lengths of intestine. So if you see a lesion at about 7 o’clock, you don’t really know whether its gallbladder, pancreas or appendix, until you also look at the persons symptomology. So it is important to use iridology alongside other diagnostic tools, and common sense. If you don’t have a full diagnosis, you simply work on whichever points are painful, as that is the measure of where a problem is stored. (I mean pressing reflex points of course, not poking in the eye!) As you work on the painful points, you will see the iris change. Another limitation of iridology is that under anaesthetic, nerve fibres are frozen, so any damage done under operation will not show in the fibre structure. All you will see is a toxic spot, as toxins settle in the areas of weakness. So again, one needs to know something of the medical history to help with diagnosis. When working on an area damaged by operation, the patient will go through anaesthesia, then experience the suppressed pain, and the damage will heal. Another key to diagnosis: we need to understand the different zones. 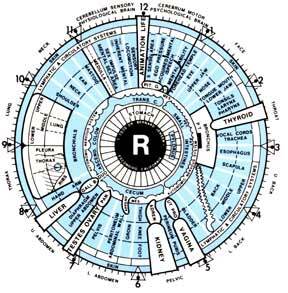 Iridology divides the eye into 7 zones, which are concentric circles. The first two are inside the autonomic nerve wreath, which is the frilly circle a third of the way out from the pupil, so finding this in the iris is an important key to knowing the zones. The first two zones are stomach and intestine, so all lesions inside the nerve wreath will be to do with digestion. The next 5 zones, radiating out from the nerve wreath are endocrine glands, organs, muscle and bone, lymphatic system and skin. As we are mainly working on the organs and glands to release old traumas and emotions, we will be looking at lesions just outside the nerve wreath. In the case of physical injuries, however, the lesions will be further out in zone 5. In these cases we work on the site of injury, or a reflex point, to release the trauma. As the kundalini rises, the injury is healed. The lymphatic zone is best dealt with nutritionally, though point holding the 11th thoracic vertebra tends to get the lymph circulation moving properly. For a blocked skin zone, the best treatment seems to be the Niacin flush. In this case, a strong dose of niacin brings the circulation to the skin, making one red and itchy for a couple of hours, but this increased circulation will get blockages moving from the skin. We will be using this method of iris diagnosis and the healing in my Ultimate Healing Intensive. This one or two week course runs annually in July in Devon, UK and sometimes in The Netherlands and Thailand also. Please check my Calendar for details and Contact me with any questions. I’ve had tibetan pulsing healing done on me many times and one of the parts of assessments is where they look into your eyes to see which organs need to be worked on as far as releasing that energy from that specific organ before it before a real problem/physical ailment if it hasn’t already. this iridology sounds similiar in some sense. is it not? Yes, that is basically Iridology.